Ultra-wide band (UWB) signals have very wide bandwidths. On the basis of Nyquist sampling theory, it is too difficult for A/D converters to sample such signals. This issue confused people for a long time until compressive sensing (CS) was proposed. CS in UWB was brought into focus once it appeared because CS can get useful information with abandoning a lot of redundant data and UWB signals are easily sparse. Hence it is usually used in UWB to deal with sampling problems. 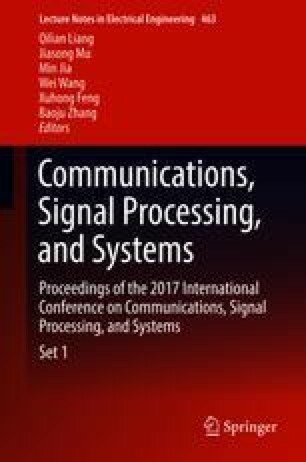 This paper mainly describes the principles of CS and its mathematical theory, and then compares the different transform matrices, measurement matrices and reconstruction algorithms based on UWB echoes. Finally, find a best method to recovery UWB echoes with Gaussian white noise. This work was supported by the National Natural Science Foundation of China (61671138), the Fundamental Research Funds for the Central Universities Project No. ZYGX2015J021, and the Scientific Research Foundation for the Returned Overseas Chinese Scholars, State Education Ministry.